Ground up mummy bones, dried toads tied around the neck, and a morning breakfast of lice and pee. It sounds like a horror movie but those are actual medicines prescribed by early doctors. Medical students studied anatomy on bodies stolen from graves, and had to operate on people while they were awake. Learn about the medicines that came from poison and doctors who experimented on themselves and their families. It's a twisted tale of medical mayhem, but it's all true! to bring him back to health. While I had expected a book full of facts I hadn't planned on glimpses into the minds of a small cast of characters. As a social historian these little glimpses are what drew me in and kept me glued to the pages. I loved 'seeing' the characters come to life, of this book being more than just a book of medical facts that make your toes want to curl, your stomach grumble, and your face scrunch up in revulsion. We can't beat around the bush here, medical practices from...well, up until the mid 1900's, had much to be desired but it was amazing to see just how 'physicians' from ancient times all the way up until the 1920's saw things. 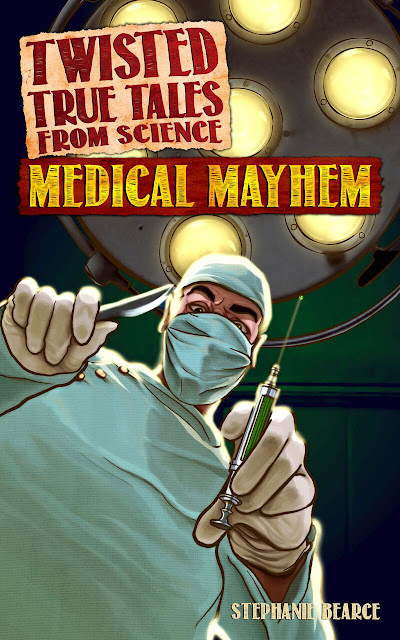 I have to wonder in another 100 years or more will there be a second printing of Medical Mayhem where a bunch of middle graders are sitting around trying not to 'throw up in their mouths' at our medical practices in the 21st century? I loved learning in small ways how they came up with their ministrations, their reasons for them, their discoveries both good and bad, discovering unknown facts about historical figures...Oh poor, poor King Louise the XIV *squirms in seat*, or rediscovering forgotten facts: coffin torpedoes people, coffin torpedoes! I loved the art, both gruesome and light hearted, I loved that there are 'scientific experiments' to try out on your own, like making snot or creating a 'heart pump'. I had in fact planned to read this with my girls and have them help me review it but when I started reading I discovered that I wanted more to add this book into our homeschool curriculum. We will have an absolute blast spending a week discovering ancient maladies and cures. Getting to create the experiments and then using the book as a jumping off point to do even more research on our own. I am excited to share this with them and to see their curiosity lead to even more discoveries. And, there are three other books in this series that I can not wait to add to my shelves and my classroom. I will be sure to come back here and let you know how it all plays out and how they feel about the book and series, but knowing my girls I can tell you they are going to love it as much as I did. If this book is any indicator I can not wait to get my hands on the rest of the series and I am hopeful that Stephanie Bearce will run with this and move into other areas and onto more True Tales. This is a fantastic book for any home or classroom with children from around 8 and up. Any history and science fan from the young to the 'older' will enjoy giving this a read. You're eyes will 'bug out', your stomach will churn' your thoughts will run rampant with 'Oh's and Ah's' and you will walk away feeling the curiosity bug scratching at your brain, leading you on your own search for more. This is a must for any middle graders library! STEPHANIE BEARCE is a writer, teacher, and history detective. 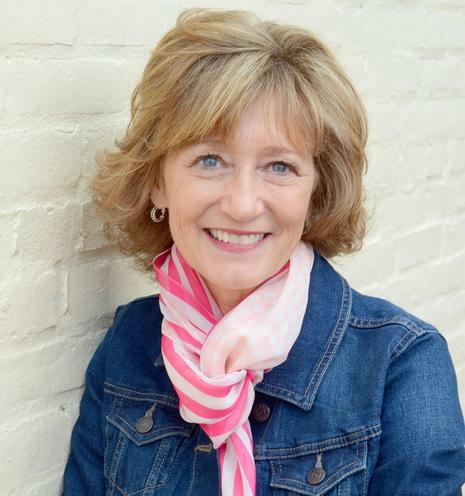 She loves tracking down spies and uncovering secret missions from the comfort of her library in St. Charles, Missouri. When she isn’t writing or teaching, Stephanie loves to travel the world and go on adventures with her husband, Darrell.